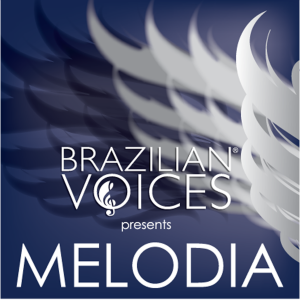 Brazilian Voices delivered a special performance at the Broward Center for the Performing Arts on Saturday, April 18th, 2015 at 8:00 PM. Beatriz Malnic and Loren Oliveira, Brazilian Voices Artistic Directors chose works that highlighted the group’s strengths; with powerful interpretations, rich harmonies and a passionate approach. There was fluidity and warmth on their singing throughout the program, including a joyfull “Roda de Samba” (Samba Circle) next to the audience. Serene, thoughtful renditions of Jobim’s “Wave,” and “Dindi” filled out an evening that reinforced the conviction that some popular music is so beautiful and eloquent that it never grows old. In addition, the group performed American standards incorporating some elements from Bossa Nova with softness and soothing interpretation. Beatriz fashioned piano parts whose chords nodded toward Impressionism while demonstrating the complexity of the songs’ original harmonic vocal arrangements, presented through the voices of Brazilian Voices singers and special guests sharing the grand piano, such as: George Tandy and George Tandy Jr., Adriana Mezzadri, Jeff Deen, Jorge Sosa and Band. This was another sold out performance at the Amaturo theatre, followed by a classy and delightful afterparty at the new Huizenga Pavillion.